That's right; Fangoria Magazine’s Ken Hanley has devoted his life of uplifting the spirits and changing the lives of monsters across this great nation of ours. Vampires, Mummies, Wolfmen, Gillmen and Monsters (Frankenstein's or Otherwise) will finally be able to step out of the shadows after reading The I in Evil and be the social, conscientious citizens without the psycho-and-sociological issues that plague mankind every day. By reading Hanley's well-versed answers to the questions that has cursed these wicked creatures for eons, monsters* around the world will be able to accept and embrace their nature for good instead of evil. Whether you're tied down by the expectations of your mystic elders or taken prisoner by your never-ending bloodlust, Hanley is here to help you solve your problems the power of positivity and self-confidence. 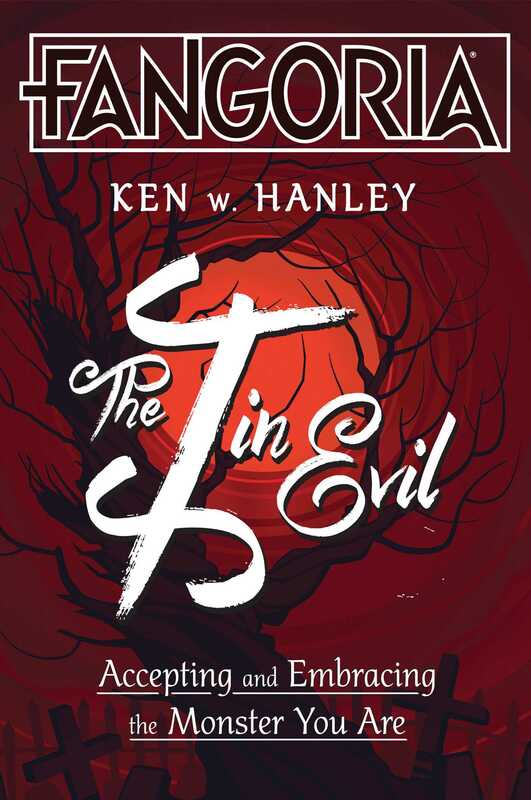 So the next time you're about to sink your teeth into someone's neck, pick up this book instead and remember that you can't spell "evil" without the "I".